An attorney for Rutland City is disputing claims of bias policing and wants a federal judge to toss out a lawsuit from a former nightclub owner alleging discriminatory police tactics forced him out of business. The city, in its recent filing, also asked the judge to require Charles Greeno III, who brought the lawsuit, to reimburse the city for its cost of defending itself against the action. Greeno, who owned The Local, which closed in early February, filed a federal lawsuit last month against the city and the police department, seeking more than $75,000 in damages. Greeno opened the nightclub in 2011 and said in the lawsuit all was going well until 2012 when the police department began targeting African-Americans at the bar. Police claimed the patrons were dealing drugs, however, no drug dealing was taking place, Greeno alleges. The nightclub is described in the lawsuit as a place that plays dance music and “caters to the hip hop culture,” featuring DJs from New York and Boston, often attracting African-American patrons from around the area. An ever-increasing police presence outside the establishment, Greeno’s lawsuit stated, was keeping people away. In 2015, when Brian Kilcullen became the city’s police chief, Greeno said he expressed his concern to Kilcullen about the alleged tactics of the police department. The Rutland City Police Chief Brian Kilcullen(’s) response was that “it was data driven, he did not see any problems and that he personally has shut down many bars that he didn’t like,” the lawsuit stated. Attorney Kaveh Shahi, representing the city, wrote in a reply to the lawsuit that a meeting with the new chief did take place and Greeno requested that the police “discontinue its presence” at closing time. “[Greeno] was told that that the Department would allocate its resources consistent with public safety issues,” Shahi added. After that meeting, Greeno’s lawsuit alleges, the police presence increased, with cruisers parking in front of the nightclub with their blue lights on, and only outside The Local, not other bars in the city. Decisions from the state Liquor Control Board also had been issued regarding The Local over the past year. An incident at The Local in May 2016 led to a decision a few months later in August in which the board called for a 21-day suspension of its liquor license. In that incident, which took place outside the bar, a man who had left the nightclub threatened others with a chainsaw, according to the state’s board ruling. “Although we find serious violations here, and there is considerable enforcement history, there appears to be increased efforts with our regulations and cooperation with law enforcement,” that decision read. Then, shortly after the nightclub closed, on Feb. 23, the Liquor Control Board revoked the liquor licenses for The Local, effective March 1, and issued a $5,000 fine. That decision involved other incidents, including, according to the board, fighting inside the bar and the over-serving of an off-duty bartender on her birthday. Neither attorney in the case, Shahi or Hart, could be reached Wednesday, April 19, for comment. Greeno did not take part in the hearing that led the revocation order. “Licensee did not appear at the hearing and notified the Board and DLC counsel that it did not intend to appear at the hearing,” the ruling stated. A different owner has since attempted to open a new bar in the downtown spot vacated by The Local, but the city Board of Aldermen denied the request for a liquor license. 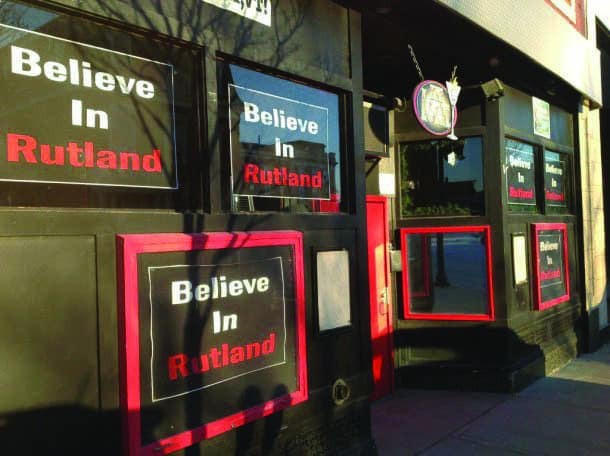 The owner of The Local nightclub in downtown Rutland has filed a federal lawsuit against the city’s police department alleging their discriminatory practices forced him to shutter his establishment last month.